Mercedes Teases Hybrid Supercar With Formula 1 Tech: You’ve seen cross breed supercars some time recently, yet likely nothing so colorful as this. 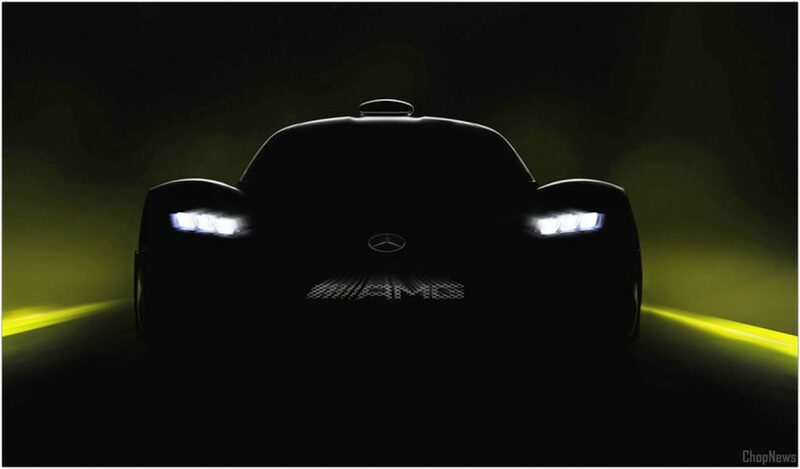 Mercedes-Benz is prodding the introduction of the Mercedes-AMG Project One, a half and half “supersports showcar,” at the Frankfurt International Motor Show starting September fourteenth. While the see picture doesn’t demonstrate much other than a GT-style body (finish with an air scoop on the rooftop), Mercedes makes much ado of the auto’s Formula 1 underpinnings – both powerplants add up to race auto innovation adjusted to “everyday” utilize. In view of past data, the machine will consolidate a F1-based 1.6-liter turbo V6 with two electric engines: a 134HP engine connected to the crankshaft, and a 107HP engine that limits turbo slack, despite the fact that the motor can rev up to an outrageous 11,000RPM. The equipment guarantees more than 1,000 joined strength and a 217MPH best speed, yet it should offer 15.5 miles of unadulterated electric driving. What’s more, truly, all that crude power is as rebuffing as you’d think – quite recently like a race auto, you’ll have to revamp the motor each 31,000 miles. Obviously, this will be difficult to get. Regardless of the possibility that you can swing the normal $2.54 million sticker cost for Project One, AMG says it just hopes to make 275 units. There’s a decent possibility that business moguls will gobble up the creation run very quickly. In any case, it’s great to see half breed innovation taken as far as possible before electric supercars assume control.